This exposition leads visitors to the surroundings of Valtice, part of the Lednice–Valtice area, which was in 1996 placed on the UNESCO list of world heritage. 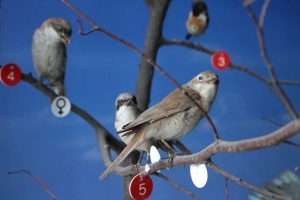 The main attraction of this exhibition is not the architecture found here, but the nature with its various biotopes and animals that inhabit it. Visitors can learn more about some of the common but also rare kinds of fish that live in Lednice ponds and pools of the wetland forest, or admire representatives of the avian kingdom, whose variety in the Lednice–Valtice area is famous. Visitors large and small can observe fish in large fish tanks, which contain representatives of our most important freshwater fish species, play on a meadow, climb to a tree stand, or use a fruit picker to gather some plums fresh from a tree.